Marcelo Toledo was born in the province of Buenos Aires, in the city of Escobar. Today he is recognized as one of the most prestigious young artists in Argentina and beyond. He has managed to place his pieces in the hands of renowned kings, princes, presidents and celebrities from around the world. From the Pope, Prince Charles and Queen Elizabeth II of England, the Kings of Holland Guillermo and Máxima, the entire Spanish crown, the King of Morocco as well as actors and singers of the stature of Madonna, Robbie Williams, Michael Douglas, Robert De Niro, Antonio Banderas and presidents like Bill Clinton, George Bush, Barack Obama and all Latin American presidents. His works have been exhibited in major cities around the world, such as Moscow, New York, Tokyo, Hong Kong, Rome, London, Oslo, Paris, Shanghai, and others. He has made collections for major international brands such as Ralph Lauren Black Label. For a while now, Marcelo Toledo has been working on his profile as an artist, without neglecting goldsmithing. 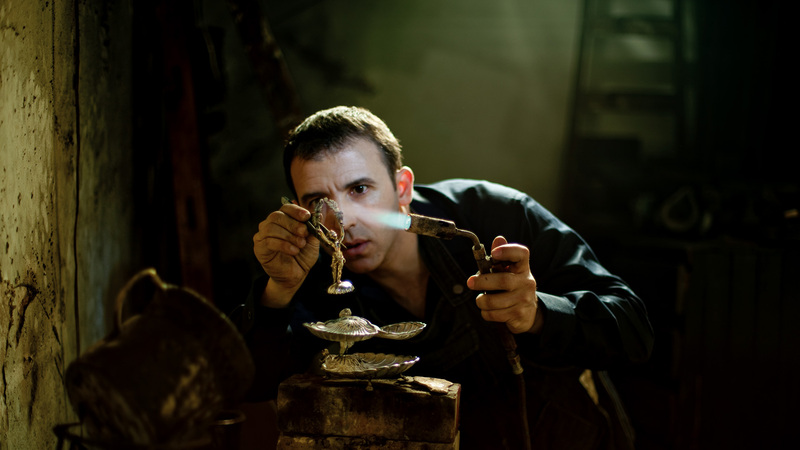 He seeks to position himself in the world of contemporary art by developing large pieces and sculptures in metal.